If you’ve ever wondered about the different styles of yoga you could do, this day is for you. Try hatha, vinyasa flow, yin, and more. There’ll be pranayama and meditation too, and with shorter sessions you don’t need to worry about getting bored. We think you’ll love them all, and maybe you’ll find something you didn’t realise you needed until you’ve tried it. Whether you’re a beginner or yoga addict, you’ll have a good time. So come and join teachers Viv Ward and Sue Dorrell at lovely Hamblin Hall in Bosham for a day to try tasters of lots of different yoga styles. Meet some like-minded people, relax, and have some fun. Price: £50. All sessions, a delicious vegetarian lunch (vegan options), drinks, and use of yoga mats included. Our first day sold out very quickly, so book now as places are limited. Booking: send an email to vivoward@gmail.com to reserve your place. Your booking will be confirmed on receipt of payment. To pay, ask for details to use BACS, post a cheque, or pay by cash in person. 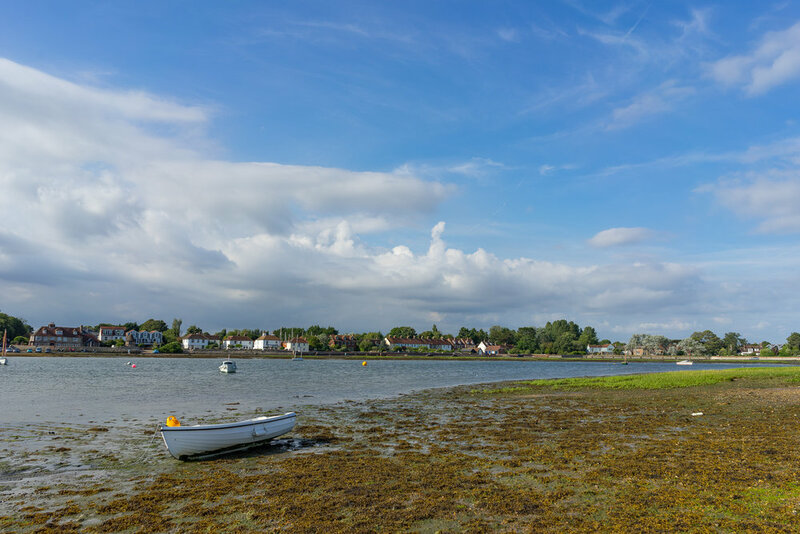 Bosham AONB and the nearby South Downs national park have lots to offer visitors. The picturesque sailing village and ancient church (the only one on the Bayeux tapestry) is about 1.5 miles from the venue. The foreshore is reputed to be the place King Canute proved that even a King could not command the tide not to come in - so don’t leave your car too close! The South Downs are a perfect place for nature lovers, walkers and cyclists and the city of Chichester, about 5 miles away, is well worth a visit, too. Visit Chichester has lots more information.